Steve and I car share and as he always uses the car for work, it means that I rely on public transport quite a bit during the school holidays for getting out and about with the kids. This normally involves us catching the bus to Newcastle first and then taking a bus from there as there is so much choice. 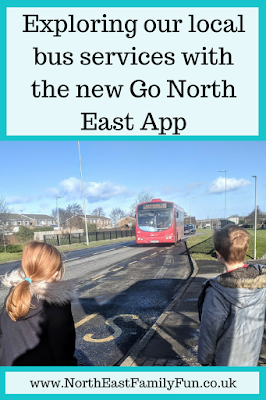 This half term though I decided to try something a little different and use the Go North East 19 bus service which does not go to Newcastle but it does stop right outside of my door. In all my years of living in Cramlington, I'd never used this service before as heading into town is just a default setting for us so I was intrigued as to how our day would pan out. I honestly love this ticket as it's just so simple. 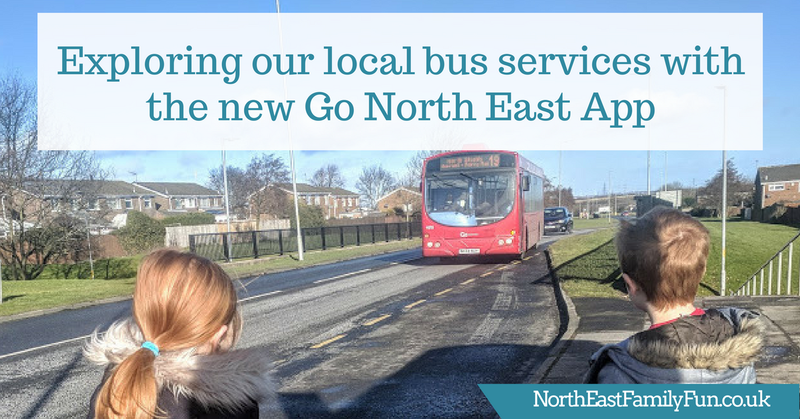 For £10, it allows a family group (up to two adults and three children under 16) unlimited travel across Go North East services for one day (a couple of exclusions apply). It's super easy to use and perfect if you're budgeting for a day out. There are SO many places you can visit via Go North East services in our region and your family ticket will give you access to some fantastic discounts too including 25% off a Beamish Annual Pass. You can buy a family ticket for yourself through the app, from your bus driver or use the app to send a family ticket to someone else - I love this idea for school holidays when other family members may be taking your children for a day out somewhere. Every little helps! We've enjoyed visiting the Angel of the North, Saltwell Park and Beamish Museum with a family ticket in the past. Back to our day out and trying the Go North East 19 Service from Cramlington. This bus runs every 30 minutes across the core part of it's journey and every hour from Cramlington. 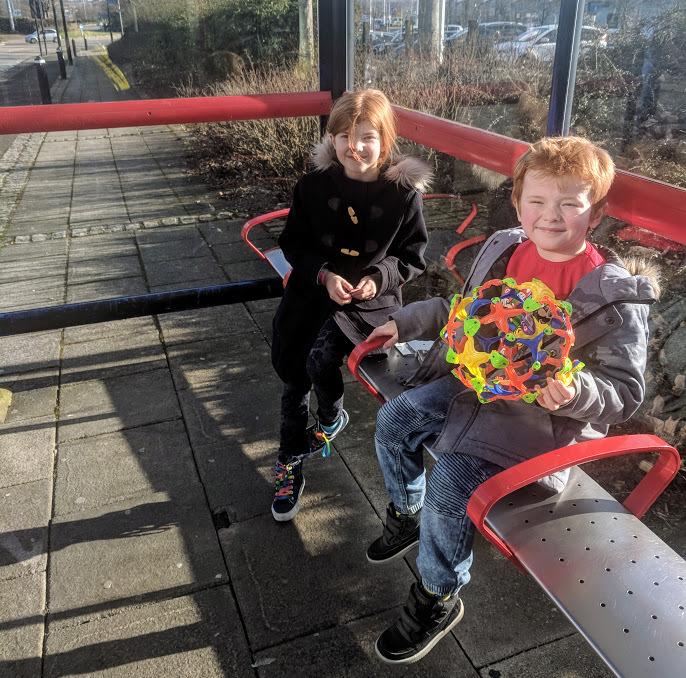 Jack and Heidi loved using the bus tracker via the app to look for the bus coming before they saw it in real life. 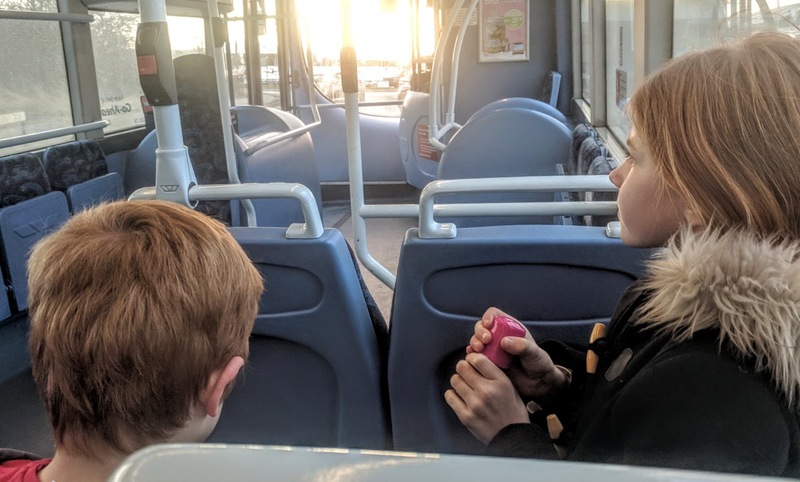 Kids love catching the bus and I always think it adds an element of adventure to our day out for them. It took around 40 minutes to get to Royal Quays from Cramlington which I don't think was too bad. The service is direct and H and J loved that we passed by daddy's work at Cobalt and gave his offices a little wave as we passed by. Royal Quays isn't somewhere that would immediately spring to mind for a family day out if I'm honest but there is actually quite a bit for families to do here. 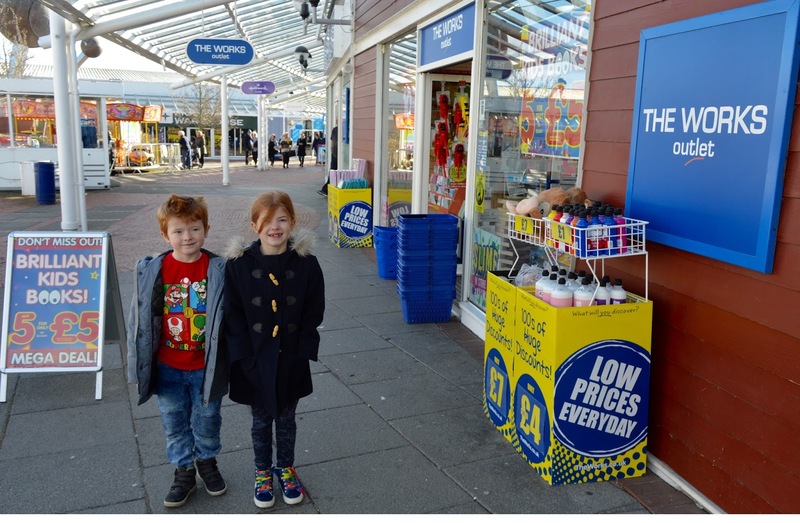 We started off with a little trip to The Works where H & J spent some of their pocket money and then popped across to The Sweet Emporium where the kids could not believe their eyes and spent ages deliberating on the best treats to take home for later. The main reason for our visit to Royal Quays was to try out Extreme Bounce. 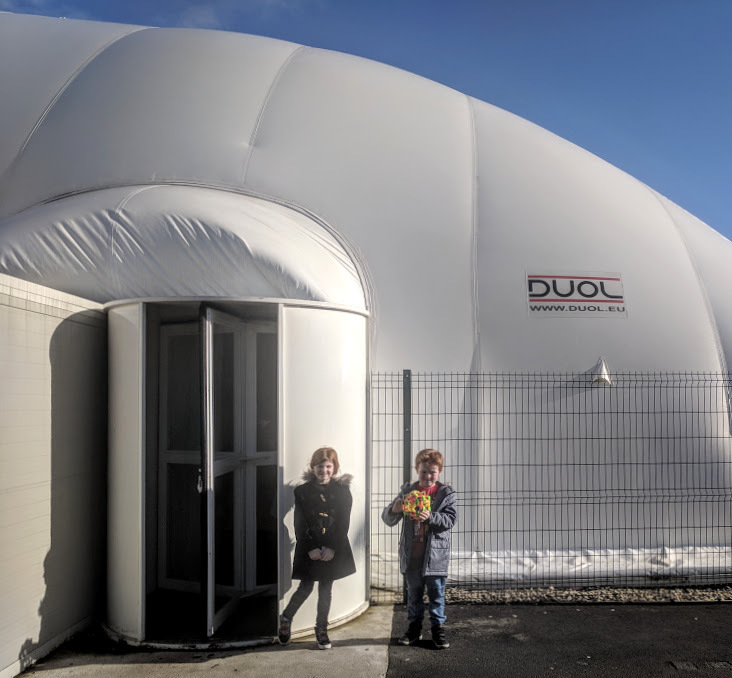 I asked my Facebook page followers about this attraction and it had mixed reports - some families loved it and others weren't so keen as it has changed since it originally opened and is more of a soft place centre than a trampoline park now. 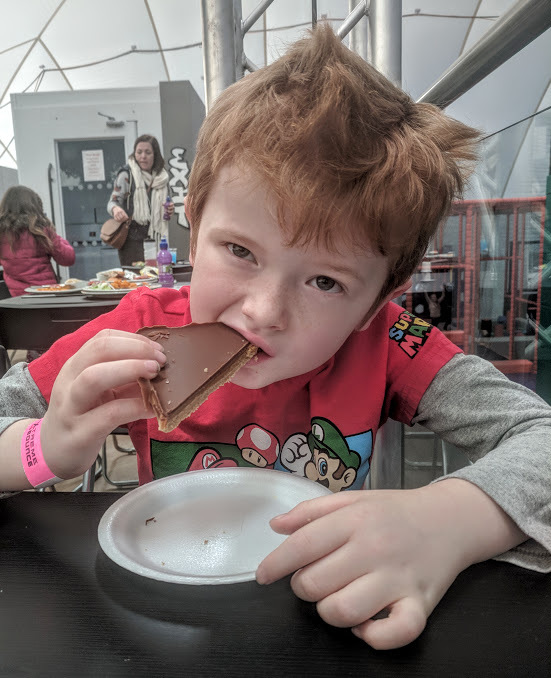 I must admit the £10 per child entry charge was a little hard to swallow but I went with it and I was actually pleasantly surprised and would say if your children are aged 5-10, it's worth a visit. We visited during half term and it was super busy but I loved the whole concept. The play area takes over the ground floor and there is a mezzanine cafe/bar area for parents. 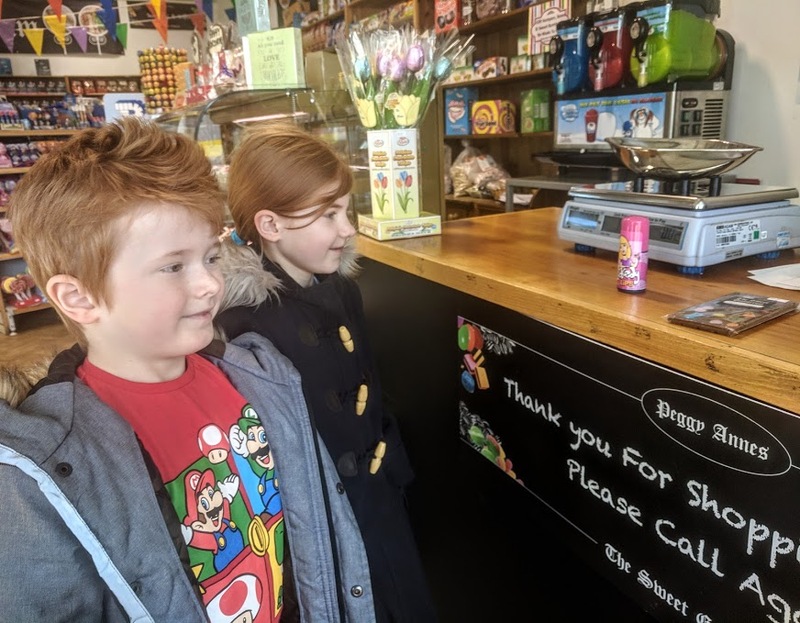 If your children are aged 5 or over, they don't need to be fully supervised (although obviously - all children are different and you know your own child) and the kids can run off and play to their heart's content whilst grown-ups enjoy a coffee and a bite to eat in the cafe which is even licensed. As I was using public transport, I really should have treated myself to a glass of wine! 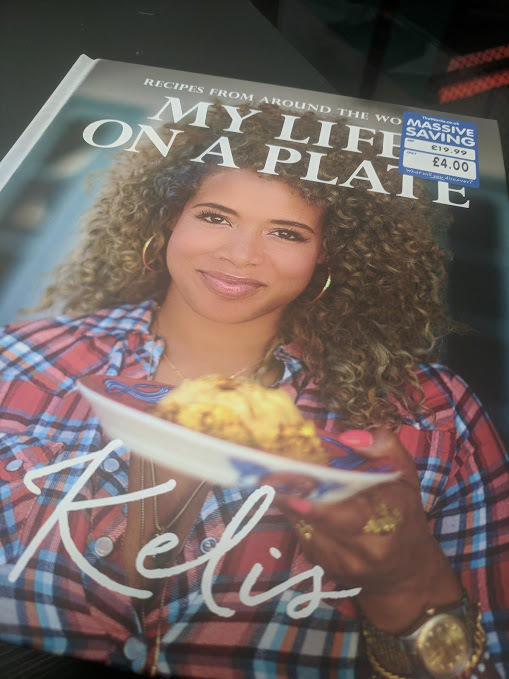 I spent a lovely couple of hours flicking through my new cookbook I'd picked up from The Works whilst watching the kids below. There are plenty of staff on hand to keep the kids from running too wild and everyone we encountered seemed very friendly. My photos are limited from inside as I try not to share photos of other people's children where possible and it was packed but there's a range of activities for children to try from climbing nets to trampolines, bouncy castles, platforms to jump from, duel stations, basketball courts and more. Heidi and Jack really had a lovely time and I promised them we'll re-visit soon. 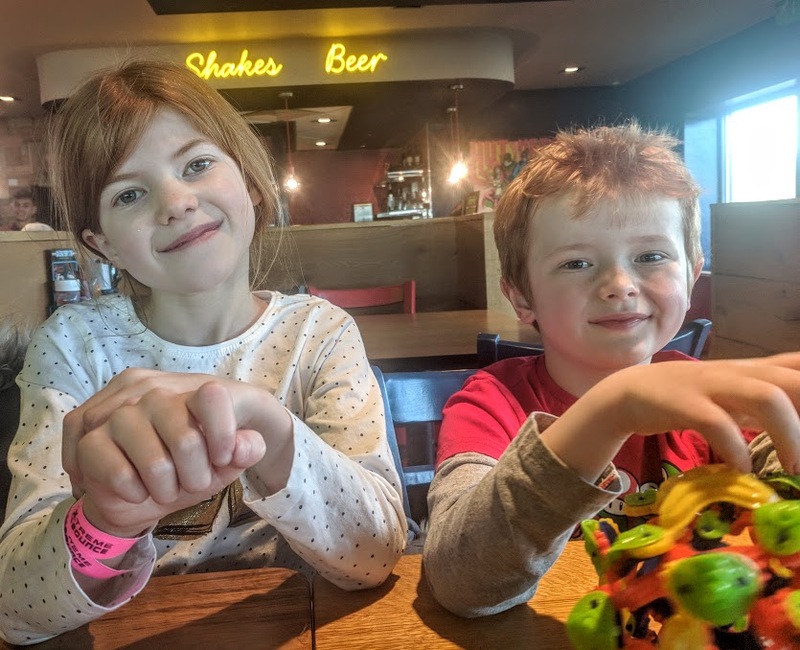 Other options for family activities in and around Royal Quays include bowling or soft play at Starbowl, Wet n Wild or breakfast/lunch and soft play at Brewers Fayre (check out Karen's review here). I used the Go North East App to check the bus timetable and we headed to the Royal Quays bus stop just in time to catch the 19 service to Silverlink. I noticed you could also catch a Go North East service to the Metrocentre from this bus stop - perfect if you're after some more retail therapy. The 19 bus stopped right outside Percy Main Sabuccas which I know is a popular spot for families - worth keeping in mind if you're looking for a bite to eat. I'd promised the kids we'd head to Silverlink though and we had plans to watch a movie and grab some pizza from Pizza Hut. Pizza Hut is not somewhere I'd normally opt to take the kids - I much prefer Bella Italia or Nandos but as it was half term it was their choice and treat. The 19 bus stops just behind the restaurant so is very convenient. We arrived at around 2:30pm and it was super busy - mostly teenagers and families making the most of the famous Pizza Hut buffet. We ordered from the main menu and I was actually impressed if I'm honest - two kids pizzas with a side, drink and dessert plus a pizza and refillable soft drink for myself only set me back £25. The service was very slow though, especially as our pizzas were pretty plain and Jack said we're not allowed to go back as it took them too long to cook his pizza - that's them told! We'll stick with Bella Italia next door next time. The ice cream factory was a hit though and Jack and Heidi loved messing about with various toppings and sprinkles. 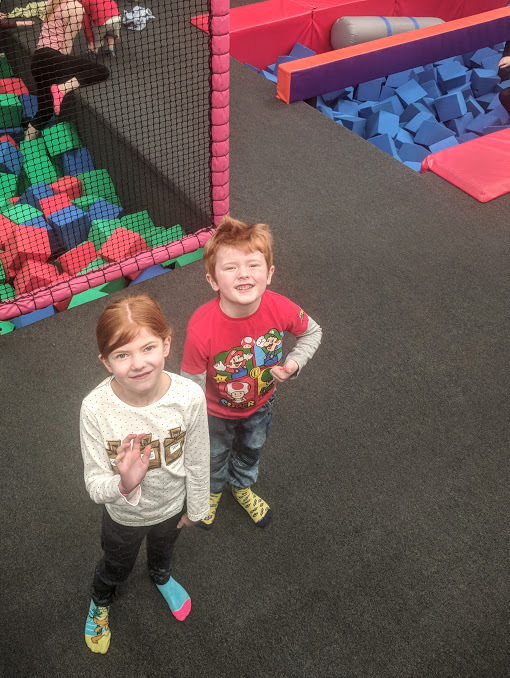 We had planned to catch Coco at Odeon before heading home but after shopping and 2 hours at soft play followed by pizza and ice cream, the kids were pretty tired and ready to head back home. I loved that we had the flexibility to do this. Our day out by bus was super easy and using the free Go North East App was cery convenient. Being able to head to Royal Quays and Silverlink and enjoy their facilities without a car, direct from my local bus stop was hassle-free. 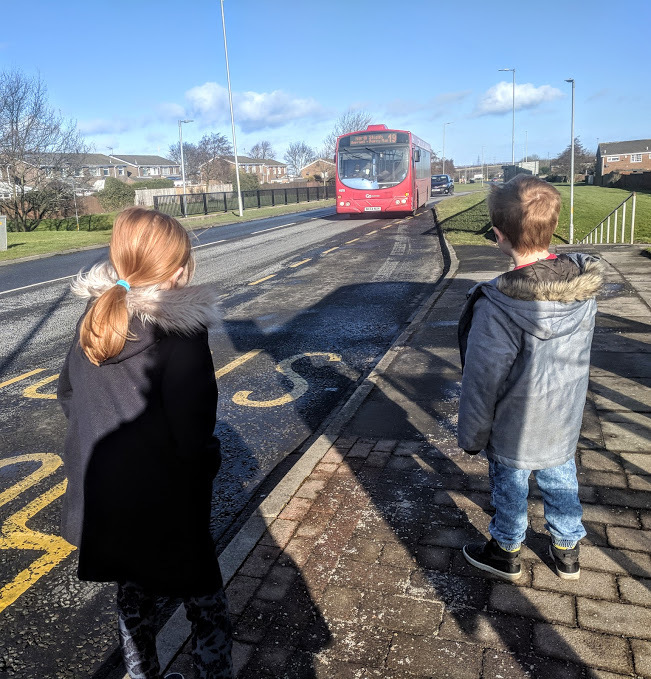 If you're looking to try something new and fancy a change to the normal attractions you visit with the kids by public transport, I'd 100% recommend trying out your local bus services rather than heading to Newcastle. The 19 bus service also stops at Ashington, Stakeford, Bedlington, Cramlington, Seaton Delaval, Shiremoor, Northumberland Park Metro and North Shields (including the ferry terminal). 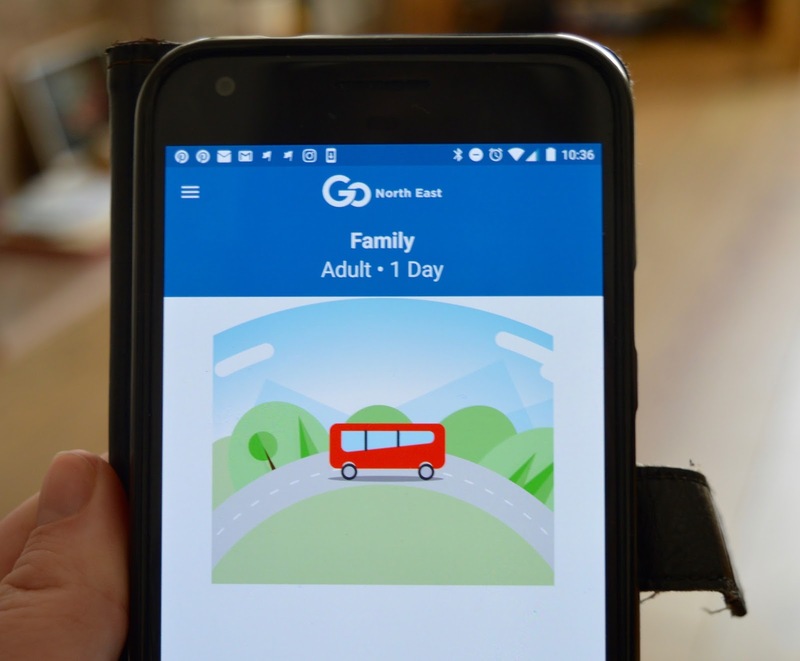 What I love about the family day ticket though is that you're not just limited to using just one service - you can use it across most Go North East services across our region. The world really is your oyster! 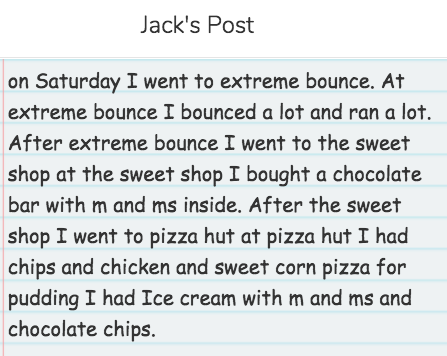 Sidenote: Jack's teacher sent me an email today with a copy of his work featuring what he did in the school holidays. 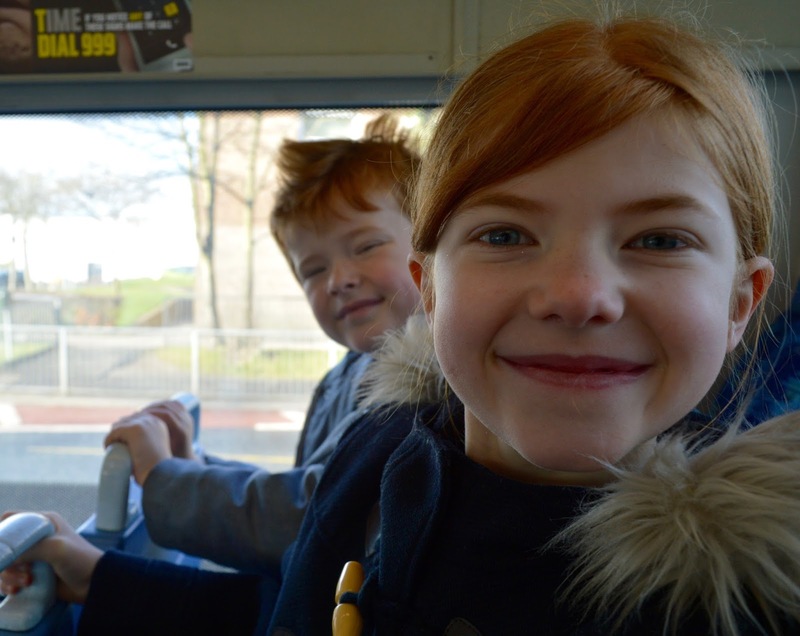 Despite travelling to Darwin Forest, exploring Kielder, visiting Durham Fire & Ice and going to the cinema to see Black Panther, Jack chose to write about our day out by bus as his favourite day out which speaks volumes. This screenshot of his work melts my heart. Let me know if you have any recommendations for where we can visit via public transport next. Ooh the app looks good, I wonder if I can use it for my weekly ticket to get to work! It’d be great to buy a months worth of tickets in one go and not worry about losing my pass when I switch bags! Definitely going to look into it! Jack’s work made me laugh, looking back through my old school work I always used to write about what we had to eat! Update! Just downloaded the app and my ticket is on there! Amazing! No more scrabbling around to find the right money every week - I had no idea I could do this! Thank you!!!! PS annoyingly I’d only just bought this week’s ticket with cash! Because I don’t drive we always get the bus everywhere and I love how frequent they are now compared with when I had the little ones years ago.